How do 7 years fly by so quickly? Didn’t I just bring this scrappy little puppy home in a rubber tub (because I didn’t have a crate for the car)? Sofie is a smiler. Despite everything that goes on in her anxious little head, she always wants to roll and smile at me. 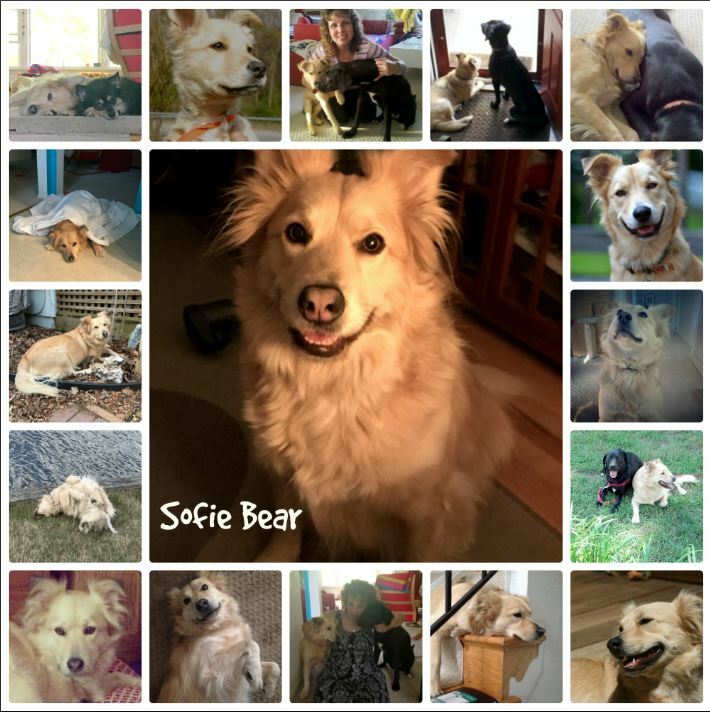 If there is one dog that has taught me a ton of lessons it is you, Sofie Bear. Patience is the biggest lesson and listening to what a dog needs. Thank you for teaching me to be a better dog parent. Happy 7th Birthday, Soda Pop! Happy barkday!!! 7 is THE lucky number and a magic one… so it will be a wonderful year for you!!! Happy Birthday Sofie! Tippy sends puppy kisses and tail wags.